Greg Gaines is a senior in high-school when on the first day of the new school-year his mom tells him the sad news that one of his class-mates has leukemia – Rachel. Since Greg had in middle school been friends with Rachel, his mother asks him to go cheer her up and be her friend again, as she could really use one. The main thing that’s going on in this book seems to be trying to cheer Rachel up – Greg trying to make her laugh etc, but with it we get some back-story to who is Greg, who’s the Earl in the title and what is going on in their lives. Earl is someone who Greg calls his “coworker” since when they’re together they mostly either play video games or more often watch or make movies. The movies become an important part in the book, as Earl meets Rachel and mentions that he and Greg make movies, though no-one besides them has ever seen them (except for the very first one). So as the story progresses and we find out about what kind of movies the guys make, and Rachel gets to see them, another school-mate, Madison convinces Greg to make a movie for Rachel, as that might be a nice thing to do. All-in-all the book is very focused on action – doing something, not thinking about things like life or death, so although there’s a girl with terminal cancer, the book is not really sad, it’s quite entertaining, as Greg and Earl are quite odd. Also it’s a very quick read. 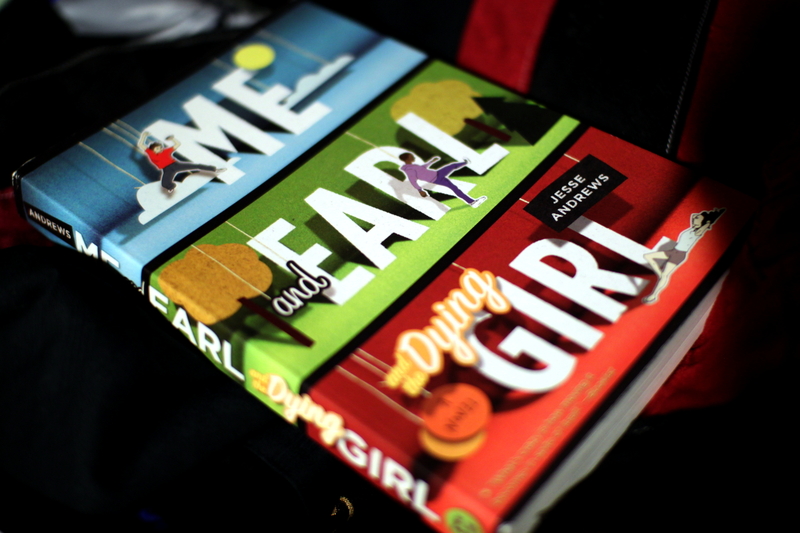 This entry was posted in Fiction and tagged book review, Jesse Andrews, Me and Earl and the Dying Girl. Bookmark the permalink.